Dental implants, often called teeth implants, look and function similar to natural teeth and provide a more permanent result. Wisconsin dental implant specialists often recommend them as the best option for those who have experienced tooth loss due to injury or periodontal (gum) disease. Implants can replace a single tooth or be used for a full mouth restoration. Today, implants are changing the way people live and are often a desirable alternative to a full or partial denture or a bridge. Age is not typically a major factor, as implants have been performed on young people as well as the elderly. Note: Smoking makes the likelihood that an implant may fail much greater. Aesthetic – Dental implants look and feel lifelike. They integrate into the structure of your bone, preventing the bone loss and gum recession that often accompany bridgework and dentures. Tooth saving – Dental implants don’t harm bordering teeth like a bridge may, which is essential to your long-term oral health. Bordering teeth are not changed to support the implant. Comfort and fit – Dental implants eliminate the problems that can occur with dentures—slipping and sliding, mouth sores, and clicking sounds. In addition, removing a denture or a “partial” at night may be inconvenient. Confidence – Dental implants allow you to smile, speak and eat with comfort and confidence. Reliable – With proper hygiene and care, dental implants can last 20 years or more. At a Wisconsin Advanced Dental Specialists, your dental implants can be performed by a general dentist, oral surgeon, periodontist, or prosthodontist. 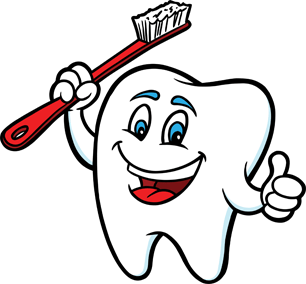 A complete medical and dental history and a thorough medical examination, including x-rays, are conducted. If your mouth is not ideal for implants, ways of improving the outcome, such as bone grafting, may be recommended. For most patients, the placement of dental implants involves two surgical procedures. First, tiny titanium posts are placed into the jawbone where the teeth are missing. These metal anchors act as tooth root substitutes. Because titanium isn’t recognized by the body’s immune system, there generally isn’t a risk of it being rejected the way other materials may be. For the first three to six months following surgery, the implants are beneath the surface of the gums, gradually bonding with the jawbone. You should be able to wear temporary dentures and eat a soft diet during this time. At the same time, your dentist is forming new replacement teeth. After the dental implant has bonded to the jawbone, the second phase begins. Your dentist will uncover the implants and attach small posts that protrude through the gums and will act as anchors for the artificial teeth. When the artificial teeth are placed, these posts will not be seen. A single prosthesis (crown) is used to replace one missing tooth—each prosthetic tooth attaches to its own implant. A partial prosthesis (fixed bridge) can replace two or more teeth and may require only two or three implants. A complete dental prosthesis (fixed bridge) replaces all the teeth on your upper and lower jaw. The number of implants varies depending upon which type of complete prosthesis (removable or fixed) is recommended. A removable prosthesis (over denture) attaches to a bar or ball-in-socket attachments, whereas a fixed prosthesis is permanent and removable only by the dentist.